I know a lot of classes have no problem farming mobs at a great rate. This isn't always the case with a mesmer (a profession I love dearly). In fact I levelled a warrior exclusively for farming, though I turned him into quite a durable shout healing, condition removing tanky fellow. 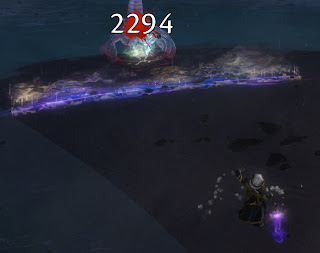 I actually had an email this morning from a fellow mesmer fan who asked me a pretty simple question: How do I farm young karkas at the lost shore? 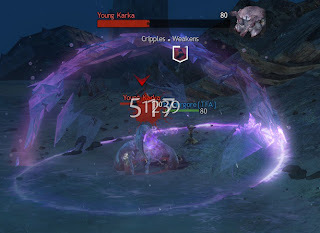 I know there are a lot of builds out there for effective mesmer farming - and for other classes too - and I know some of you guys will share them on Facebook, Google+ and the soon to be ready forums but in this post I wanted to show the build I've been using to mess karkas up real good. The core of the build is simply a focus, feedback and 0/0/0/20/5 and from here, depending on your own preferences, you've a lot of flexibility. I prefer the following set up. I like this build because it gives me unparalleled flexibility in many situations. 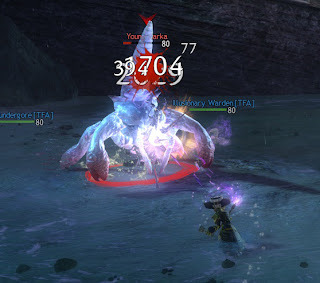 You can trait into torches removing conditions; Greatsword CD reduction and stat bonus; Sword CD reduction and stat bonus; Scepter CD reduction and stat bonus; Confusion/glamour builds; even a pretty good phantasm dps build. In fact, nearly every build and weapon combo save a staff/bunker build or a shatter/Illusionary Persona build. 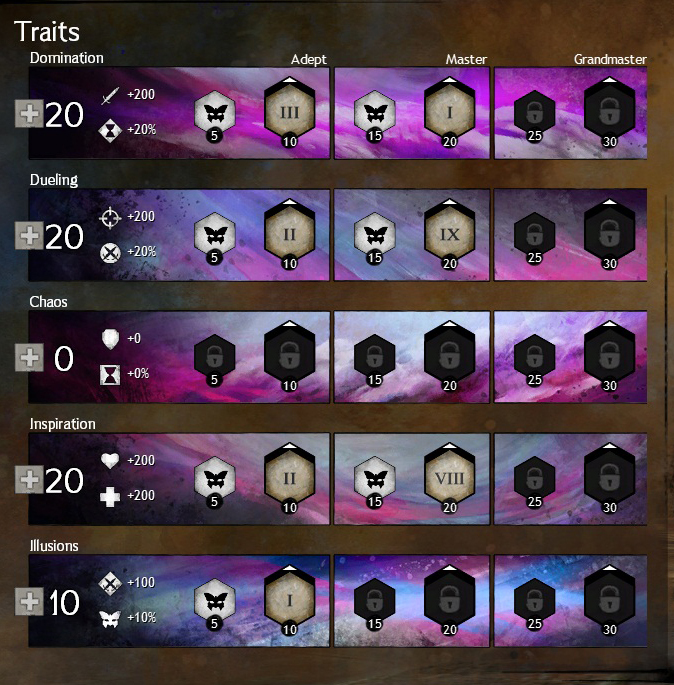 It suits me in dungeons, WvWvW and I even like to roll with this setup to be unorthodox (and therefore hard to predict) in sPvP - but I digress! You just need to worry about a focus in your offhand, feedback, illusionist's celerity, glamour mastery and warden's feedback. The young karka will raise it's tail and then flatten in preparation to shoot you with whatever it shoots you with (doesn't bear thinking about) and you will reflect it back at them while dpsing yourself. They wilt! Once you get into the rhythm you'll find that you have at least two of your reflective options open at any one time. What I find interesting is that the reflected damage uses your own crit rate and damage bonuses. My warrior with a shield traited to reflect (long cooldown - not very effective reflective farming) in his exotic cleric's shout gear does very little damage. 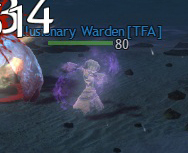 My mesmer with 20 points in power and precision lines and exotic beserker's gear on the other hand, suddenly feels very farm-tastic. I know a lot of classes get this kind of damage out in other, less convoluted ways but I've played a few (mesmer, warrior and thief) and this reflect build makes for a pretty quick kill - trust me on that. As a bonus, because you reflect the young karka's main attack, you take almost no damage. 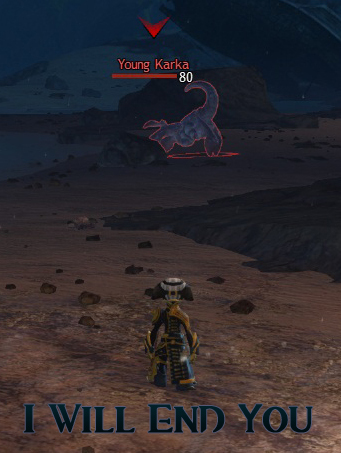 Now, here's the important question: why would you farm these rowdy, young, foolish karkas? Well maybe you want revenge on the entire species based on the end of the lost shores event. Perhaps you missed the chest :(. Maybe the lag was almost insufferable to you. Either way I agree, the crabs deserve to die. Oh, they also drop karka shell and powerful blood (or potent blood) - none of which are to be sniffed at (needed as they are for the ascended back items, amongst other things). Add to that blues, greens, yellows and even oranges at the same rate as mobs in Orr. What do you guys think? Where are you farming? How are you farming? Do you find this spot profitable? Don't forget to like Our FB Page| Google+ and to get involved in discussions and ask questions! I do love your posts. 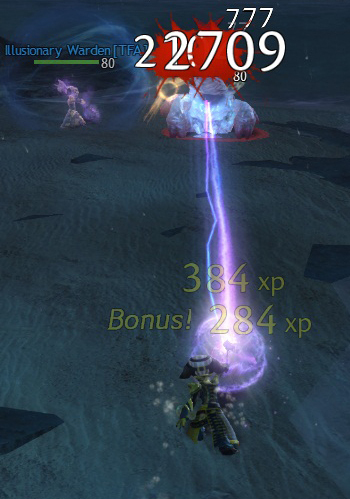 A friend of mine runs a mesmer so ill shoot this over his way and see what he thinks. I personally run an engineer which is great for farming low level areas, but I am having trouble with anything 50+. I think it might be more beneficial to change my prof based upon my play style. I want to get the engineer to 80 though since he is hovering at 76 currently. Good stuff here! another nice spot is the skelks in lost shore's south east. they drop vicious fangs and powerful bloods regularly. check it out!